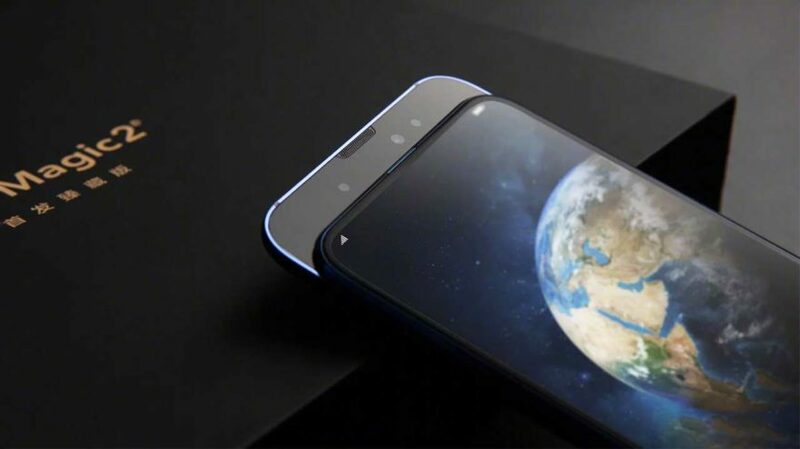 It’s been a long time coming, but the successor to the Honor Magic — launched in China in December 2016 and shown off at CES 2017— is finally here. Ladies and gentlemen, meet the Honor Magic 2. The device reminds us of the Xiaomi Mi MIX 3 and the Huawei P20 Pro and Mate 20 Pro. The Mi MIX 3 because of the sliding mechanism; you manually pull down the 6.4-inch, 19.5:9 OLED screen to use the front cameras. The P20 Pro because of the back design. But the handset shares more similarities with the Huawei Mate 20 Pro. The two are of the same size. They use the new 7nm-based Kirin 980 chip. They both have an under-display fingerprint sensor. And they boast 40-watt crazy-fast charging, with only the OPPO R17 Pro’s 50-watt capabilities surpassing the technology they’re using. Interestingly, though, the Honor Magic 2 debuts with six cameras. On the rear is a triple-camera setup — a primary 16-megapixel sensor, a 24-megapixel monochrome or black-and-white shooter, and a 16-megapixel ultra-wide-angle camera, with the last one first seen in the Mate 20 Pro. Notice the lack of a telephoto lens. The front, on the other hand, houses a 16-megapixel selfie camera mated to two 2-megapixel depth sensors. Available in blue, black, and red color variants, the base model with 6GB of RAM and 128GB of storage is priced at ¥3,799 (roughly P29,096 or $545). The 8GB/128GB and 8GB/256GB versions are selling for ¥4,299 (P32,926 or $616) and ¥4,799 (P36,755 or $688), respectively. It’s now up for preorder in China, with its release scheduled for November 6. 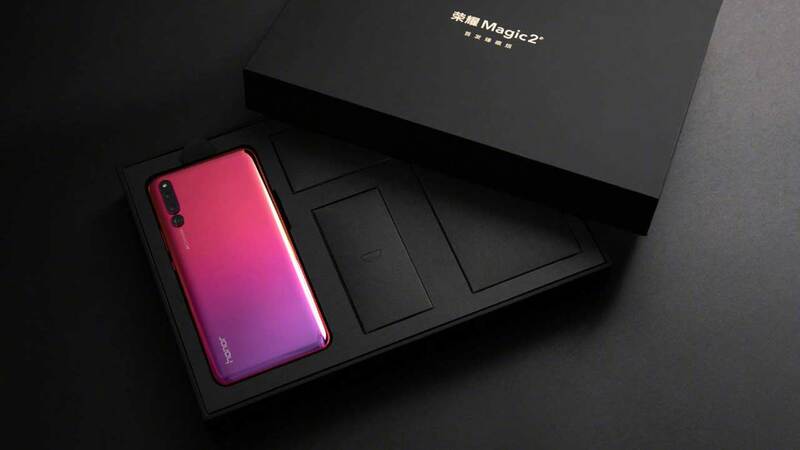 Will the Honor Magic 2 ever be available in the Philippines? The original Magic wasn’t offered in the country, but with Honor’s return to the Philippines early this year, it might be different this time around.